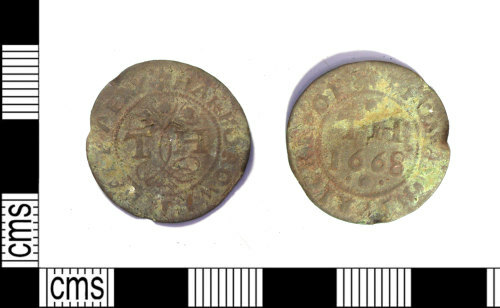 Post medieval copper alloy token halfpenny, 19mm in diameter and with a weight of 0.85grams. Issued by Thomas Heyricke of Market Harborough, 1668, Cf. Norweb 2877.